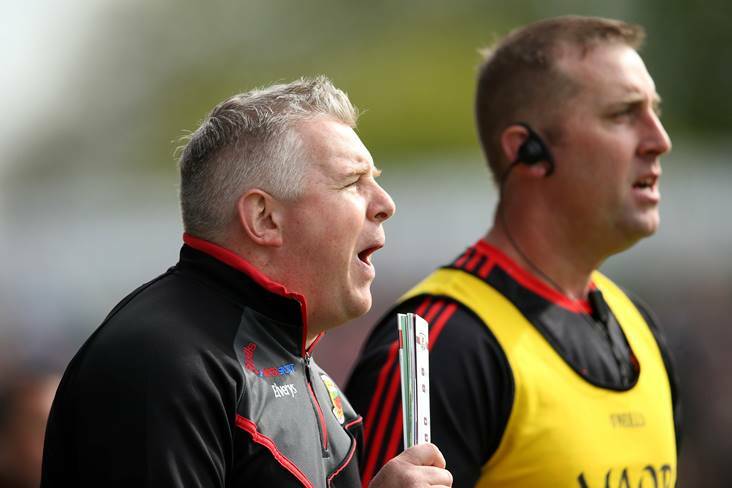 Following the All-Ireland SFC qualifier win over Limerick last weekend, Mayo manager Stephen Rochford gave an update on the injury front. Currently Donal Vaughan, Brendan Harrison, Neil Douglas and Barry Moran are on the treatment table, while Tom Parsons is ruled out for the year ahead. However, Rochford is hopeful that a number of the absentees will be back available for the next round of the qualifiers which is an away clash against Tipperary. Harrison's knee injury is believed to be the most serious of the injuries and Rochford told the Western People that it will be a while before the know how long rehabilitation period will be. "It will be the end of the month before we know exactly where we're at," Rochford stated about Harrison. On Vaughan he said: "He was back into light training this week so we'd hope that will progress. At this stage, we'd hope that will progress. At this stage, we'd hope that will be an option for round 2." Rochford gave a similar update on Douglas and Moran who are recovering from hamstring and achilles injuries respectively.